EA might already be developing next-gen games on Microsoft's next-gen console. According to an anonymous source talking to Develop, not only is the core hardware for the new Xbox 360 finished, but an EA development studio already has one on its desk. While we've had clues that Microsoft has been working on a new console, nobody thought that the next Xbox (NexBox?) was this far along in development, especially considering how Microsoft has always said that the 360 was built for the long-haul. 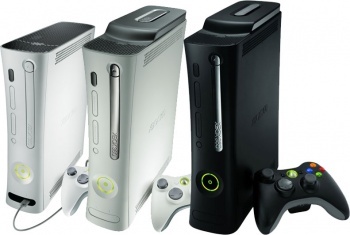 The new console, which is supposedly still in an early build and housed in a PC case, could be released by the end of 2012, if the source is reliable. The source also believed that there could be an E3 reveal for the next-gen console. "Why let Nintendo steal the thunder in June? It doesn't want to lose momentum. That's why I think Microsoft is rushing to make an announcement at E3," he said. On the other hand, a separate source told Eurogamer that an E3 reveal is highly unlikely. All this, of course, is to be taken with a grain (or handful) of salt. Keep in mind that this is a report coming from an anonymous source who works neither at EA or Microsoft, that contradicts everything Microsoft has yet said on the subject of a new console. As much as you might love to see a new console by the end of next year, I would advise not getting your hopes up. Neither Microsoft or EA has made any comment on the rumor. UPDATE: EA's Vice President of Communications, Jeff Brown, has told Kotaku that the story is "a total fabrication - 100 percent not true."